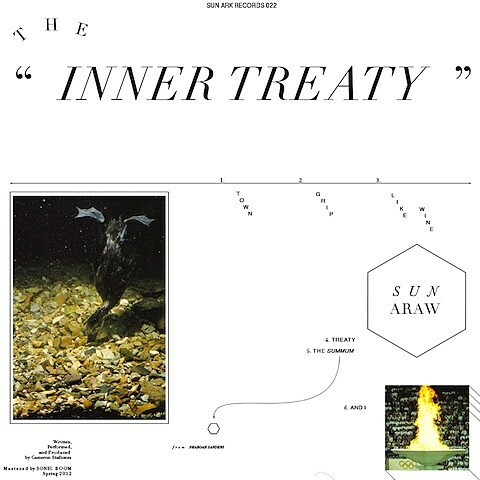 Sun Araw (aka Cameron Stallones) is set to release his new album, The Inner Treaty, on September 18 via Drag City and his own Sun Ark label. The LP was written and performed entirely by Stallones and mastered by Sonic Boom (aka Peter Kember). The Inner Treaty serves as the follow-up to 2011’s great Ancient Romans, and you can download its lead single “Like Wine” at the top of this post. Stallones recently released ICON GIVE THANK, a collaboration with The Congos and M. Geddes Gengras. You can stream the album in its entirety at the bottom of this post. Cameron seems to be beginning to announce a fall North American tour. One of his few announced dates at the moment is a Chicago show at the Empty Bottle on September 25, with Deep Magic and Weyes Blood. Advance tickets are on sale.